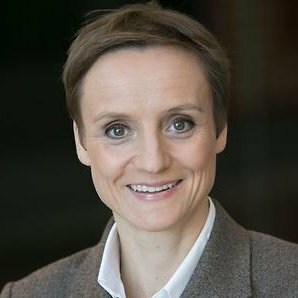 Maike Stenull is the Senior Director, Strategic Projects and Transformational Leadership at the Office of the Chief Medical Officer at Johnson & Johnson. She leads and manages cross-sector, cross-functional initiatives and drives process, content and business impact for large, transformational projects. She is the Decision Support Lead for J&J’s R&D Management Committee and the co-lead on the Global Alzheimer’s Platform work stream focused on alternative finance options. Previously, she was Finance Controller for Neuroscience Therapeutics for Janssen R&D. She has over 20 years’ experience with J&J, in Medical Devices & Diagnostics, Consumer and Pharma, in Europe and the U.S. Maike holds an MBA from the Wirtschaftsakademie Hamburg in Germany and is a certified Six Sigma Black Belt (Process Excellence).